-Place your bet on Chelsea to win any trophy in the 2015/16 Season at the price on site. -If Chelsea win any of these trophies you will be paid out at the stated price and will have the extra amount paid as promotional cash (bringing the amount up to the enhanced pay-out price) within 24 hours of bet settlement. -Maximum total stake at the enhanced price is £/€10 (or currency equivalent) per household and is subject to verification for new customers. To claim this offer, go to BetVictor by clicking here. If you’re a new customer, you’ll also be able to take advantage of their £25 in free bets offer. -If Chelsea win any trophy you will be paid out at the stated price and will have the extra amount paid as promotional cash (bringing the amount up to the enhanced pay-out price) credited within 24 hours of bet settlement. -To qualify Chelsea must win one of the following trophies in the 2015/16 season; the Community Shield, League Cup, Premier League, FA Cup, Champions League or Europa League. -The maximum total stake at the enhanced price is £/€10 (or currency equivalent) per household and is subject to verification for new customers. -The offer is available to new and existing customers. 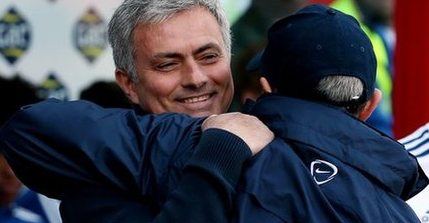 -Bets must be placed on the market ‘Chelsea To Win Any Trophy 2015/2016’. Any other related Chelsea bets or specials on site will not qualify. -Single bets only, multiple bets do not qualify. -Real money bets only, promo cash bets do not qualify. -Void bets excluded. -InstaBet bets do not qualify for the offer. -Telephone, internet and mobile bets only. -Promotional cash will expire in 30 days. -Offer open to new and existing customers in the following territories only: UK, Ireland and Gibraltar. -If you are a new customer this promotion cannot be used in conjunction with any other existing BetVictor promotion or enhanced offer including the welcome bonus. -BetVictor encourages customers to participate in promotions, but to refrain from abusing them. Abuse of bonus promotions, involvement in syndication or collusion which comes to the attention of BetVictor, will result in the withdrawal of bonus privileges, forfeiture of winnings and/or account closure, the decision of BetVictor on this matter is final. -BetVictor reserves the right to amend or withdraw this offer at any point and without notification. -The promotion is available only once per customer. The identity of a customer will be determined on the basis of all or any combination of the following: name, mailing address, e-mail address, IP address, payment method details, computer, and any other forms of identification which may be required. -BetVictor’s decision in all matters relating to this offer is final and binding. This entry was posted in Bookie Offers and tagged Chelsea Betting, Chelsea Odds on 23rd June 2015 by Betmeister.